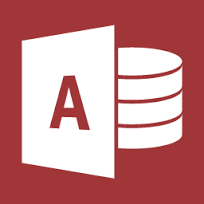 Microsoft Access database work done right. Done fast. Done exactly how you want it. Small Biz TLC will develop a professional Access database for your business or organization. Whether you have projects that require extensive record-keeping, data or inventory you want to track, or processes you need to document, we can create a usable and effective database tool for you. We focus on small businesses and non-profit organizations. Some of our clients include research institutions, young start-ups, construction and manufacturing facilities, academic departments and institutes, and a wide array of non-profits. Our priority is you, the client. We listen to you describe what you need, and we create a great solution for you. We offer in-office setup and basic training tutorials. We pride ourselves on being easy to work with, speedy, and results-oriented. Click About Us or Access to learn more about using Access and how Small Biz TLC can help. For more information, e-mail us at hello @ smallbiztlc.com. Free Download! Task Tracker / Time Clock template. See the demo video here http://www.youtube.com/user/smallbiztlc. Note, this file is in Access 2010 and not compatible with prior releases. Once you unzip the file and open the database, open the form called frmReadMe for instructions.